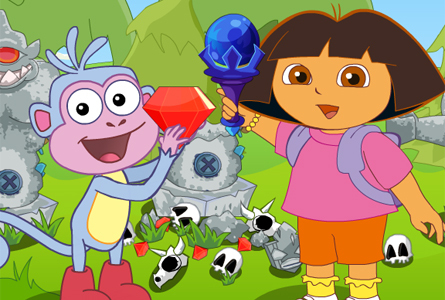 Description Dora and boots came together in a forest adventure, they found that the ruins of an ancient, relic in possession of all kinds of treasures, but also a variety of trap. So they begin to collect the treasure adventure. Controls ←→ to move two roles,↑ to jump,press two times can jump more hight.